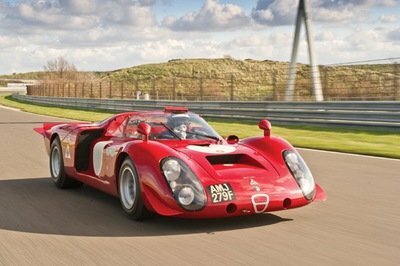 Fast, expensive, rare, and achingly gorgeous - these are the words that describe the Alfa Romeo 33 Stradale. Produced in very limited quantities between November of 1967 and March of 1969, the Alfa Romeo 33 Stradale is a sports car based on the open-top Alfa Romeo Tipo 33 Sports prototype racer, promising all the mechanical good stuff of a track-born competitor, but packaged with the freedom and relative comfort of a street-legal machine. Not to be confused with the four-door Alfa Romeo 33 sedan built between 1983 and 1995, the 33 Stradale follows the time-honored Italian tradition of bringing competition technology to the street, and suffice to say, the end result is epic from every single angle. Without a doubt, the Alfa Romeo 33 Stradale is one of the most beautiful cars ever made. Every inch of it screams Italian performance, with curves that flow perfectly from tip to tail, inviting onlookers to stare and stare. The proportions on this thing are perfect, with the front fenders rising high before dipping down into a svelte, low-cut greenhouse, followed by a shapely tail section that promises high-speed thrills the second you plant your foot to the carpet. Viewed from the front, the Alfa Romeo 33 Stradale brings a classically styled nose, with a shape and oval-like design that’s similar to various other contemporary Italian performance machines, including the Ferrari 330 P4. The main intake up front is small, hugging the ground with a fine-mesh insert. 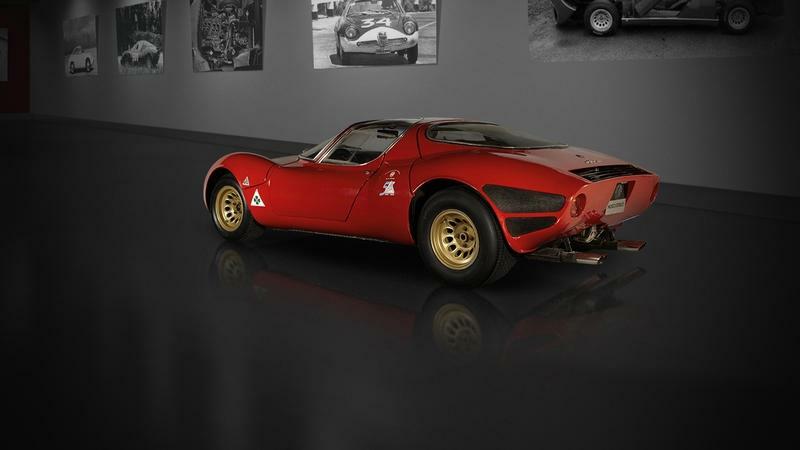 Like its racing-car inspiration, the Alfa Romeo 33 Stradale keeps the ultra-low ride height intact, while in the sides, you’ll find oval headlight housings that stretch up and into the front fenders. Inside the housings is either single or twin-beam lighting depending on the model type (more on that in a second). Moving to the sides, we find the Alfa Romeo 33 Stradale’s incredible two-door coupe silhouette. The absolutely striking window line curves up from the front end and into the roof, joining up with the windows and rear glass in a single, elegant curve. This single unbroken line is a perfect complement to the pumped-up fenders, and gives the whole shape a streamlined appearance that’s difficult to forget. The Alfa Romeo 33 Stradale is also famous for its dihedral door design. Known more popularly as “butterfly doors,” the hinges open up and forward. The design is relatively commonplace in the supercar world these days, but the 33 Stradale was the first production car to offer this dramatic method of ingress and egress. You’ll also notice the 33 Stradale doesn’t come with any door locks, nor does it get any sideview mirrors - after all, mundane details like that would just spoil the incredible profile view, no? The side view also gives us a look at the intakes placed just ahead of the rear wheels, while later models have vents behind the front and rear wheels to help keep the brakes cool. 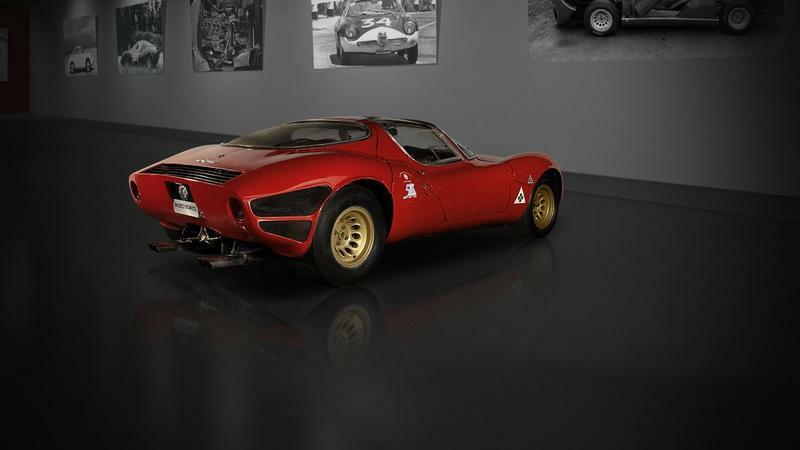 Under those massive fender flares, the Alfa Romeo 33 Stradale is equipped with 13-inch Campagnolo magnesium wheels. Finally, there’s the rear view, which makes those staggered rear tires look positively mammoth under the highly flared wheel arches. The tail looks squared and horizontal, with a pair of rounded taillights keeping it simple. There’s also quad polished exhaust tips peaking out from under the bumper, plus some cheeky mechanical bits to boot. Up top is a square vent section to let hot air escape from the engine bay. Suffice to say, we think the Alfa Romeo 33 Stradale looks absolutely gorgeous. Taking responsibility for the design is Franco Scaglione, who, in case you were unaware, is one of the most famous Italian auto designers to put pen to paper. Scaglione’s other creations include the Lamborghini 350 GTV concept car, the Alfa Romeo 2000 Sportiva, the Alfa Romeo BAT 5, and the Intermeccanica Italia GFX, among many, many others. 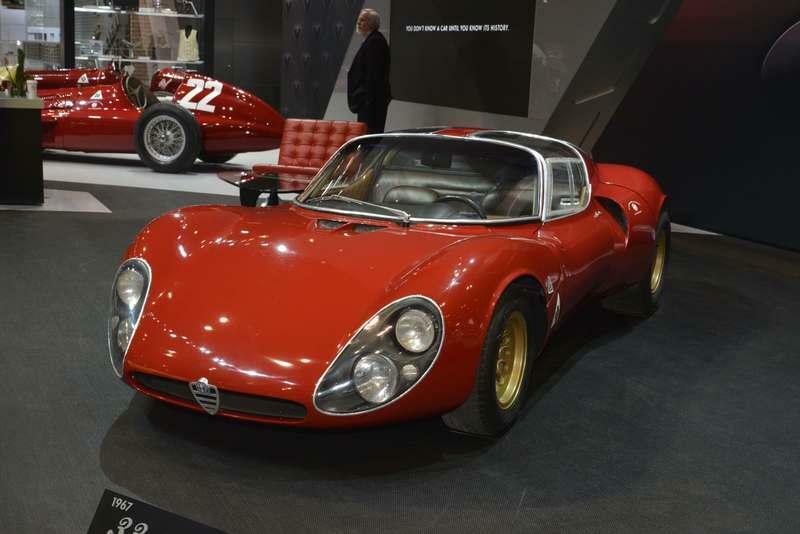 As for differentiation between the various iterations of the Alfa Romeo 33 Stradale, the earlier prototype models came with dual headlights per housing, while the later production models got a single headlight treatment. This was a conscious redesign decision for the production model, as some concession was needed in order meet regulations with regards to minimum headlight height from the ground. What’s more, each example of the Alfa Romeo 33 Stradale rocks a hand-built aluminum body, and the result is that each example is unique. And it’s not just in small details like panel alignment, either - individual examples can have different mounting positions for the windscreen wipers and even how many windscreen wipers there are. A weird thought in the modern age of mass production. 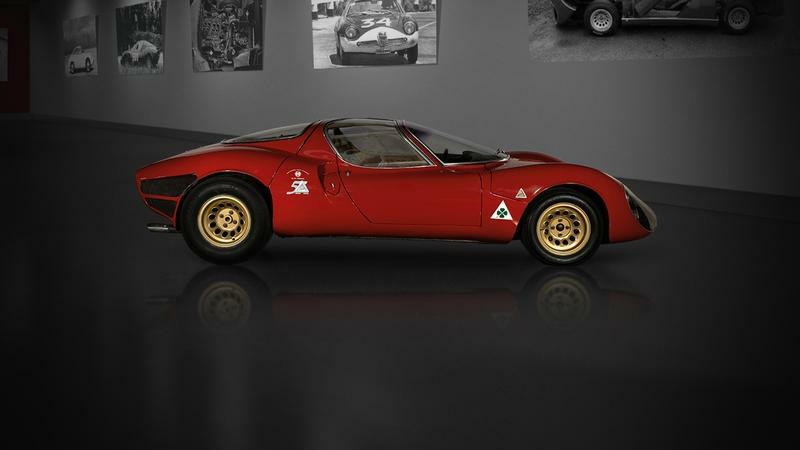 What’s more, it might not be obvious from pictures, but the Alfa Romeo 33 Stradale is actually quite small when it comes to overall exterior dimensions, measuring in at 92.5 for the overall wheelbase. For comparison, the current Alfa Romeo 4C measures in at 93.7 inches for the wheelbase. However, the production car was still a bit longer than the racers, with an extra 10 cm added to the wheelbase. 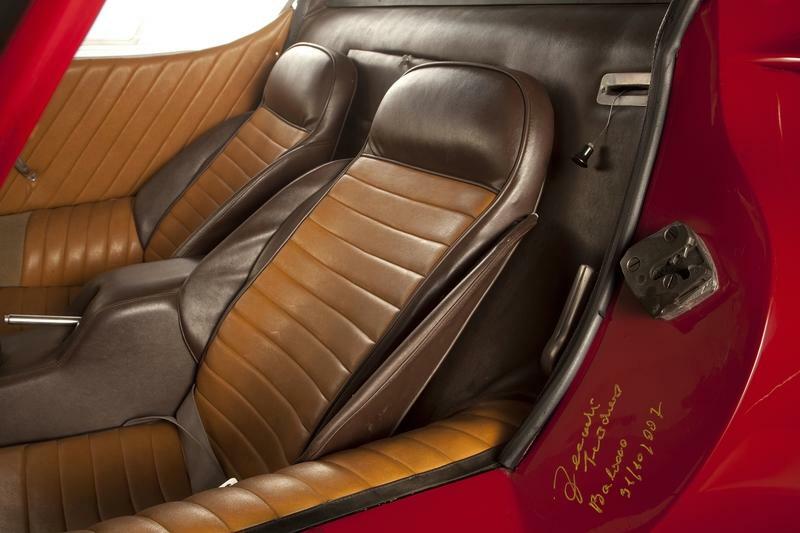 Despite its motorsport roots, the Alfa Romeo 33 Stradale’s cabin is far from a straight-up racer. This is still a street car we’re talking about, and a very expensive one at that, so Alfa made sure to equip it with all the features required to justify its high price of entry. For starters, the entire cabin is covered in copious leather upholstery, from the seats, to the central tunnel, the the dash, to the rear bulkhead. All of it is covered in hide. The seats themselves are as low-slung as the car itself, leaning down into the cabin with sizable lateral bolsters, while polished metal is used for the door handles and various switchgear surrounds. Moving onto the dash, the Alfa Romeo 33 Stradale comes with a set of analogue gauges, including a large tachometer front and center behind the steering wheel, and a quintet of gauges mounted across the dash. There’s also a number of switches on the center console for the car’s various onboard functions. Access to the Alfa Romeo 33 Stradale’s mechanical bits in front and in back is provided by lifting up the clamshell body work. Crack it open in back, and you’ll find the what appears to a racing engine that was barely detuned for street duty, with a big set of velocity stacks up top, cutting-edge fueling and spark, and a sophisticated suspension setup to boot. 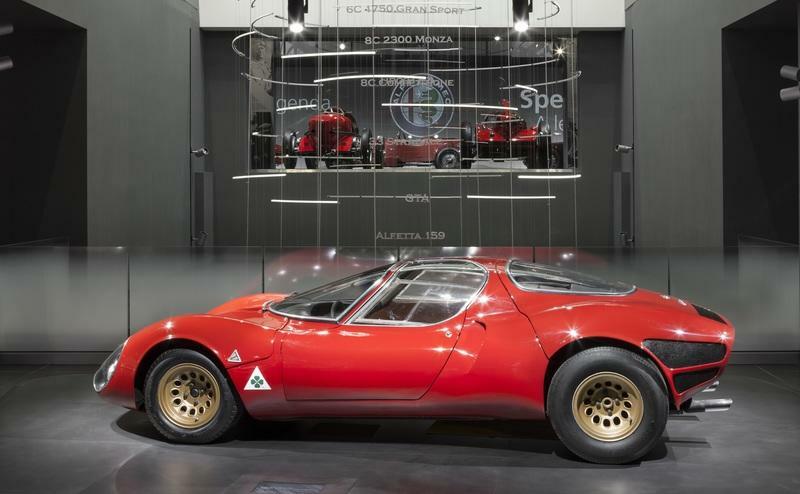 Like the racer upon which it’s based, the Alfa Romeo 33 Stradale is equipped with a rear mid-engine powertrain and rear-wheel drive drivetrain. The powerplant in question is an all-aluminum 2.0-liter V-8, with a rating of 1,995 cc’s and 121.7 cubic inches for the displacement. There’s also DOHC, while the cylinder banks are set a 90-degree angle. Inside, there’s an oversquare bore x stroke of 78 mm x 52.2 mm (3.07 inches x 2.06 inches). This design makes for a very lofty redline and loads of power, all without overtaxing the engine with excessive piston speed. The compression ratio is set at 10.5:1. Additional details include dry-sump lubrication, SPICA fuel injection, and four ignition coils with twin spark plugs per cylinder. There’s also four chain-driven cams and two valves per cylinder for the valvetrain. Add some fuel to the mix, and the Alfa Romeo Stradale 33 will punch out 227 horsepower at 8,800 rpm and 152 pound-feet at 7,000 rpm. 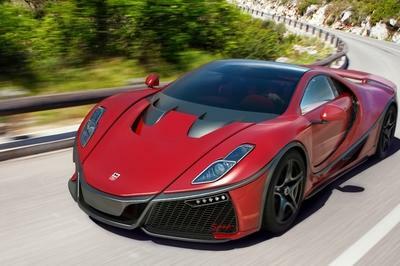 Meanwhile, the redline set at a head-spinning 10,000 rpm.
. It’s said that the first production Stradale made 243 horsepower at 9,400 rpm with a street-legal exhaust system, and 254 horsepower with an open exhaust system. For reference, the racing version of this engine made 270 horsepower. Properly motivated, the 33 Stradale could sprint from 0 to 60 mph is less than 6 seconds, and achieve a top speed of 160 mph. 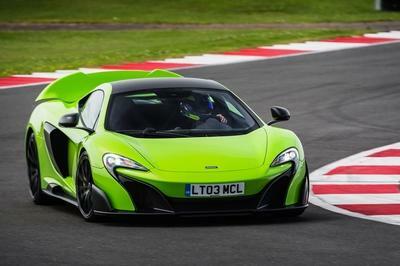 Unsurprisingly, there are stories that some owners have pushed theirs to figures around 180 mph. 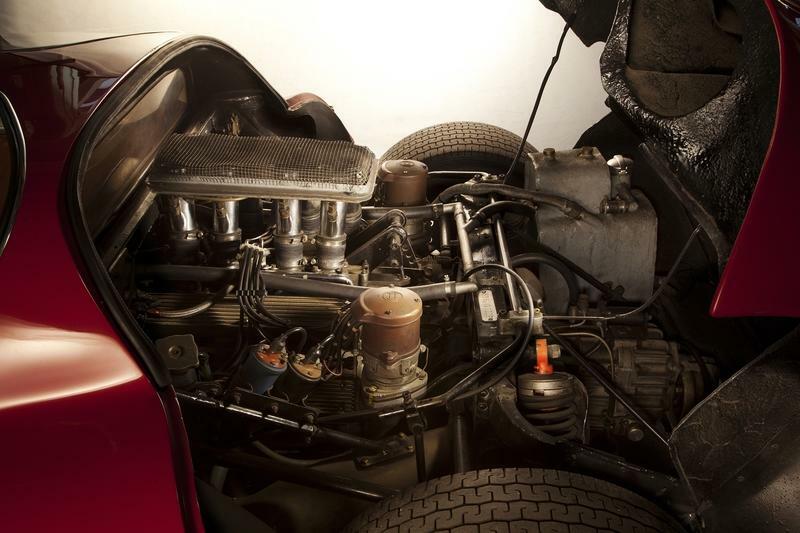 The 33 Stradale’s engine was developed by Carlo Chiti, with inspiration derived from the Alfa 33 racers that proceeded it. And while it might sound and go like the racing powerplant that came before, the 33 Stradale’s lump differs in a few crucial areas, and is actually closer in spec to the Alfa Romeo Montreal while offering a smaller overall capacity and aggressive power level. Compared to the racing engine, the 33 Stradale comes with chain-driven cams, rather than the racer’s gear-driven cams. However, the 33 Stradale did keep keep the same flat-plane crankshaft as the racer, rather than the Montreal’s cross plane crank. Meanwhile, the gearbox in play is pretty similar to that of the racer, with a six-speed Colotti manual transaxle routing muscle exclusively to the rear axle. Under the aluminum body panels, you’ll find additional aluminum used for the tubular chassis design. Thanks to all the alloy, the Alfa Romeo 33 Stradale is very lightweight, tipping the scales at a scant 700 kg (1,543 pounds). With so little heft to throw around and a mid/rear-engine placement, the Alfa Romeo 33 Stradale has all the makings of an epic apex hunter. To complement all this goodness, the Stradale comes with the same suspension bits as the racing car, including upper and lower control arms in front, double trailing arms in back, and big antiroll bars to keep it tight. The steering system is a rack and pinion setup, while the wheel width is staggered at eight inches wide in front and nine inches wide in the rear. Finally, there are disc brakes by Girling, plus inboard brakes in the rear. REAL Alfa Romeo Tipo 33 Stradale Start Up and Revs! 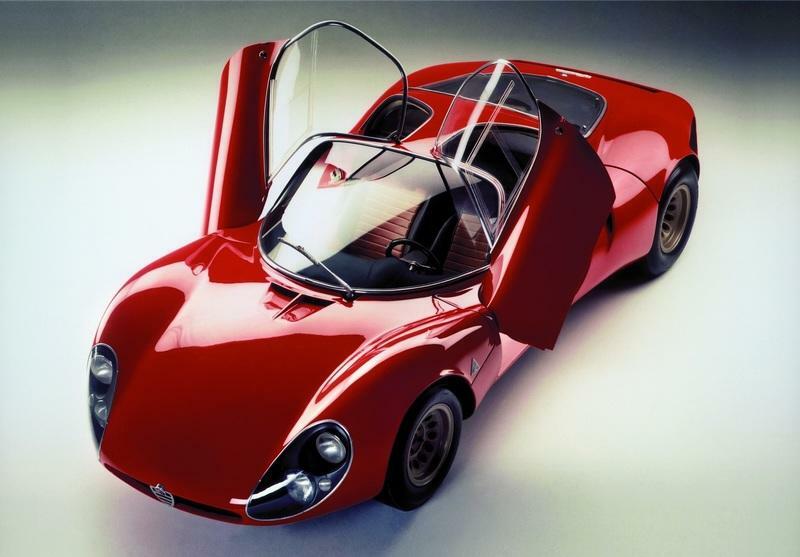 The Alfa Romeo 33 Stradale first debuted in 1967 at the Turin Motor Show. Production lasted between November of 1967 and March of 1969, with just 18 units produced in total. Assembly took place in Milan, Italy, at Carrozzeria Marazzi. Model identification comes down to the chassis serial numbers. The two original prototypes start with the serial number 105.33, while the racing cars received the serial number 750.33. Meanwhile, the street cars got the serial number 750.33.1. Five of the original 18 33 Stradale chassis were used as the basis for various concept cars, with an impressive list of Italian coach builders taking a crack at the styling, including Bertone, Pininfarina, and Giugiaro/ItalDesign. These 33 Stradale-based concepts include standouts like the Alfa Romeo Carabo, the Alfa Romeo P33 Roadster, the Alfa Romeo Iguana, the Alfa Romeo 33/2 Coupe Speciale, the Alfa Romeo P33 Cuneo, and the Alfa Romeo Navajo. None, however, look as stunning as the original design by Franco Scaglione, with eight of the original models receiving the body pictured in the article you’re reading now. That makes for 15 units total. The remaining three are so far unaccounted for, and it remains unclear if the final production number truly rests at 18. As for the models we do know about, the original prototype, chassis number 105.33.01, was sold to a private gallery in Japan. The magnesium body prototype, chassis number 150.33.12, as well as the five concept cars, are all located in the Alfa Romeo Museum in Milan, Italy. 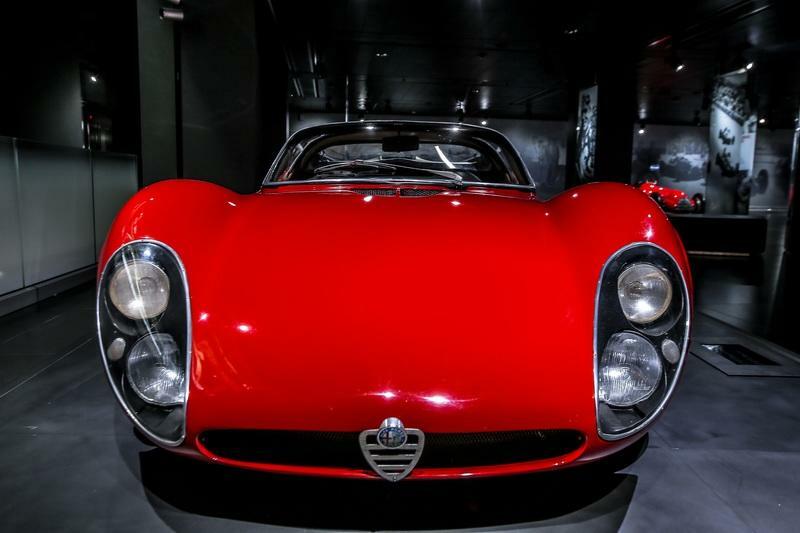 When it first hit the scene, the Alfa Romeo 33 Stradale was one of the most expensive cars ever sold to the public. Upon its debut in 1968, pricing was set at $17,000, far above the average car price of $2,822. 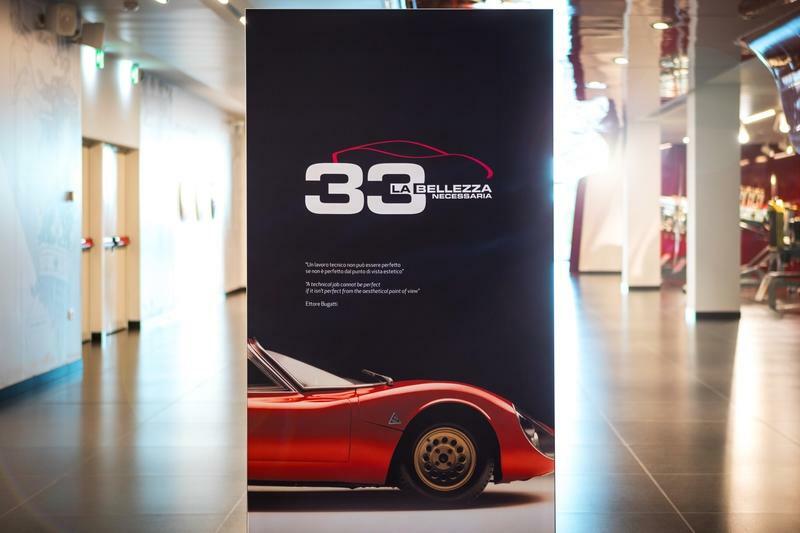 In Italy, the 33 Stradale was priced at 9,750,000 lire, beating even the iconic Lamborghini Miura (7,700,00 lire) for highest-MSRP bragging rights. These days, if you happen to find an original Alfa Romeo 33 Stradale up for sale on the collector market, expect to pay a rather pretty penny to acquire it. 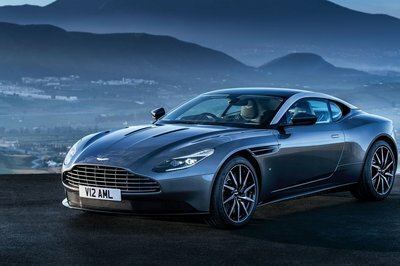 And rightfully so when you consider the car’s exclusivity, technical achievements, and stunning beauty. That would place it in the same ballpark as collector specials like the 1960 Ferrari 250 GT SWB, 1953 Jaguar C-Type Works Lightweight, and 1933 Alfa Romeo 8C 2300 Monza - all heavy-hitters, to be sure. If that’s a bit too pricey for your blood, there is the occasional continuation example that pops up every so often. Again, exact pricing figures are hard to pin down, but we’d expect a figure in the many millions of dollars. When you look at the modern crop of supercars out there, most come with a mid-mounted powerplant. This is the same setup you see across the majority of top-spec racers as well, as it provides excellent weight distribution and superlative handling characteristics on the track. However, the Lamborghini Miura was the first model to bring the layout to the street. 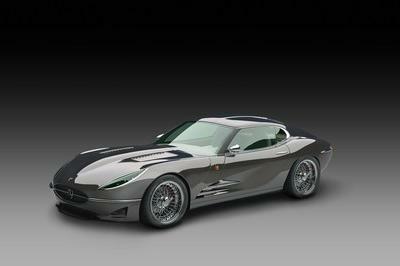 The engine in question here is a 3.9-liter V-12, which was tuned to produce upwards of 350 horsepower and 300 pound-feet of torque. Routed to the rear axle through a five-speed manual gearbox, the Miura could sprint to 60 mph in 6.3 seconds and reach a top speed of 163 mph. 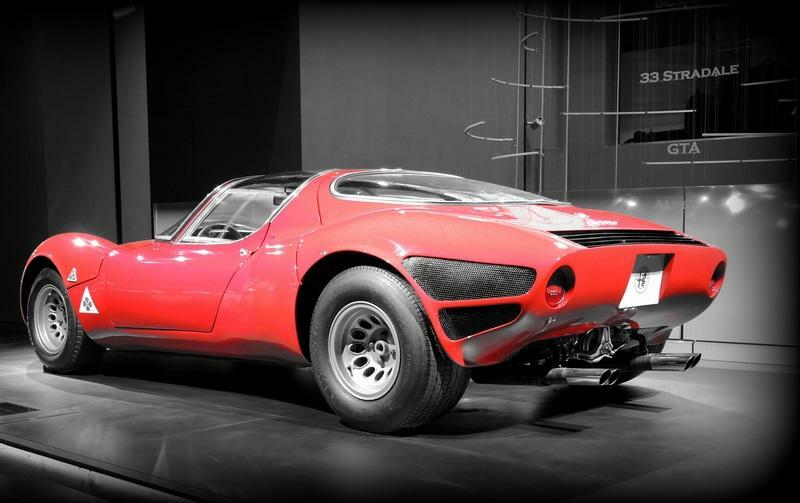 Weighing in at 2,601 pounds, the aluminum-bodied Miura was quite the corner-carver as well. Pricing for a well-preserved example can reach seven figures at auction. 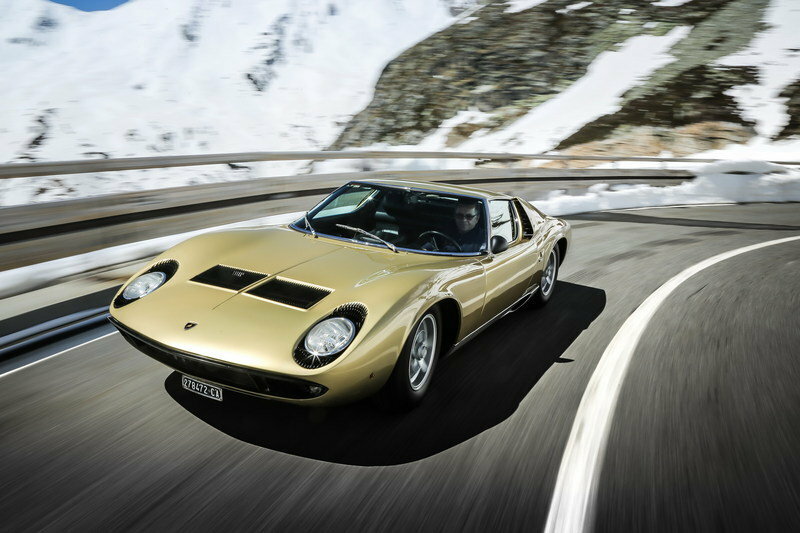 Read our full review on the Lamborghini Miura. Back in the late ‘60s, Ferrari set out to build a two-seater GT successor to the 275 GTB/4, and the result is the predecessor to the modern 812 Superfast. The powertrain and drivetrain configuration should be familiar - a front-mounted powerplant and rear-wheel drive power application. 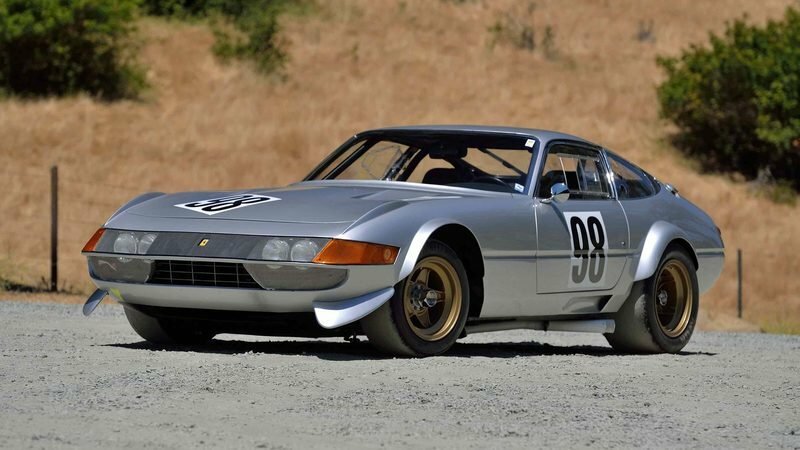 Boasting race-bred performance and named after Ferrari’s dominant performance at the 1967 24 Hours of Daytona race, the Daytona came rocking with a Colombo V-12 engine, the capacity of which was rated at 4.4-liters. Peak output sang to the tune of 352 horsepower and 317 pound-feet of torque, which properly applied could propel the Ferrari to 60 mph in 5.4 seconds. Top speed clocked in at 174 mph top speed. Cog swaps are made thanks to a five-speed manual transmission, while an independent suspension setup managed the Daytona’s 2,646 pounds dry curb weight. Just 1,406 were created when counting each of the various model variants. Pricing for a pristine example can reach upwards of $1 million at auction. Read our full review of the 1968 Ferrari 365 Daytona. Unfortunately, the history behind the Alfa Romeo 33 Stradale is a bit murky, but there are a few things we can pick apart to give us a clearer picture of where this machine is coming from. The car was originally derived from the Autodelta Alfa Romeo Tipo 33 prototype racing car, which participated in racing series like the CanAm series, Nordic Challenge Cup, Interserie series, and Sports Cars World Championship. Career wins for the racer include a title in the 1975 World Championship for Makes and the 1977 World Championship for Sports Cars. 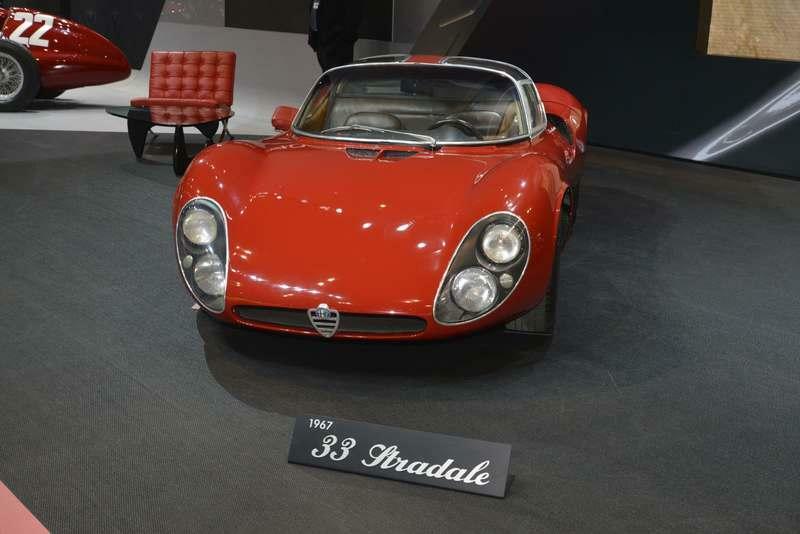 Clearly, the 33 Stradale had the right stuff to impress in a performance environment right from the word go. 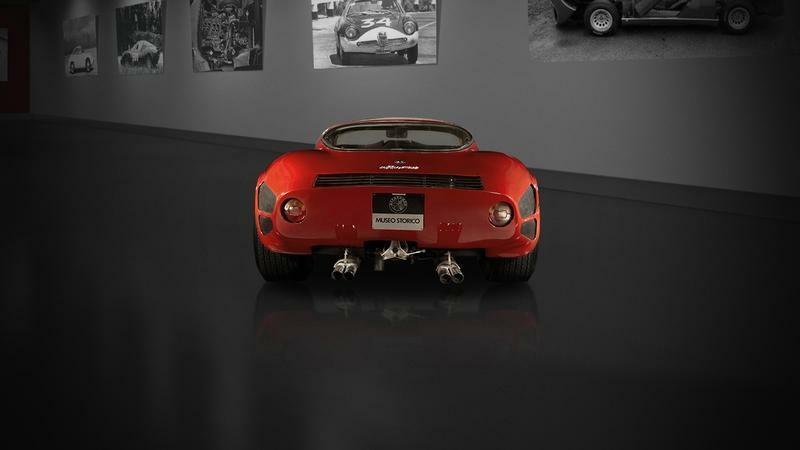 Interestingly, the first prototype Stradale model was built in the same workshop as the Tipo 33 Periscopica race car. Alfa also used the platform to push its materials research, as Scaglione was tasked with hammering together a magnesium body. The project was put on hold midway through development, but was eventually finished by Marazzi in 1968. Regardless, the Alfa Romeo 33 Stradale was an absolute stunner in its time, just as it is today. In fact, it was recognized as such with a featured role in the movie Un Bellissimo Novembre (That Splendid November), where it appeared in its original prototype form with a twin-headlight fascia. There was also an Alfa T 33/3 racer featured in the Steve McQueen flick Le Mans. One very cool aspect of the Alfa Romeo 33 Stradale is that due to its hand-built construction, each example is unique. 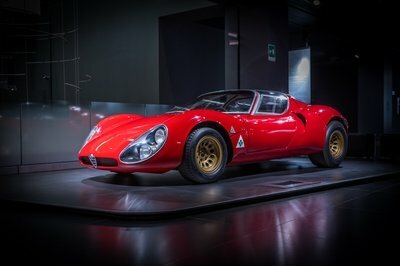 That gives it character, and paired with the car’s very impressive performance (the 33 Stradale could keep pace with rivals sporting twice the engine capacity), not to mention its timeless good looks and novel butterfly doors, there’s no question the Alfa Romeo 33 Stradale is a true Italian classic. 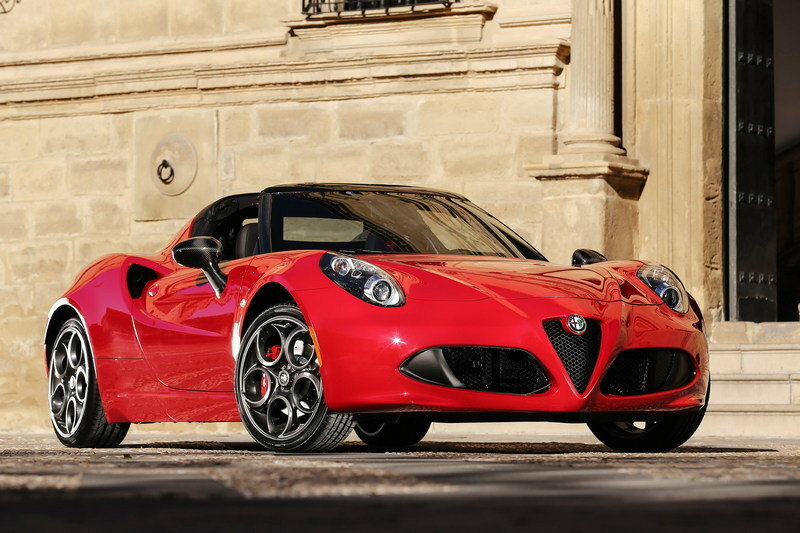 Read our full review on the 2016 Alfa Romeo 4C Spider.